The organizing taking place among precarious sectors of the U.S. working class is generating accommodations on the part of a discredited union bureaucracy. For the first time in decades, left groups are part of the debate. Photos: Shannon Kringen / Light Brigading. After three years of protests by low-wage workers across the US, some cities like Seattle, Los Angeles and New York have raised the minimum wage. These victories have come as a result of demonstrations and organization. Although there are limits to the movement, the wage increases represent a clear victory for fast-food workers. Their struggle over the past 3 years sets an example for the working class after decades of defeats and setbacks. It has also created an opportunity for the left, which for the first time in years has an influential role in the debates over the political direction of a substantial workers movement. 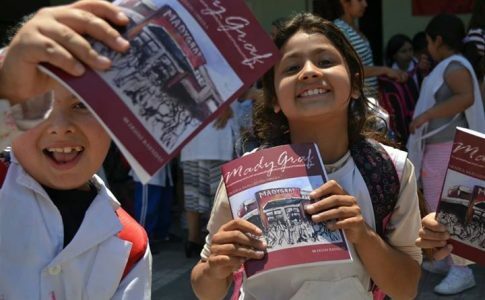 We are issuing a translation of an article previously published in the May 2015 issue of the left publication Ideas de Izquierda in order to contribute to the debate on the left. This will be the third consecutive year of strikes and demonstrations by fast food and service industry workers demanding a minimum wage of $15 an hour. If the first action in 2012 in New York, encouraged by Occupy Wall Street, seemed adventurous, today these actions are bringing new dynamism to the American working class despite a defensive overall political situation. There a variety of factors contributing to the present conjuncture. Firstly, the economy showed moderate recovery in the last quarter; although growth in GDP fell from 5 % to 2.2 % between the second and third trimesters of 2014, this represented a net improvement from 2013. In terms of employment, more jobs were created in 2014 (3.1 million), which brings the total to 11 million (mostly precarious) jobs  created since 2010, when the “great recession” ended. In addition to improving prospects for capitalist businesses, this provides an opportunity for the struggle led by service workers. Service workers have challenged the apathy dominating the unions and the pattern of low-wage employment with their actions. They did so through mobilizing around two key demands: raising the minimum wage and the right to form unions. Their struggle spread across the nation. It forced several politicians to speak out on the issue, including President Barack Obama, who proposed an increase in the minimum wage for federal employees. Walmart and McDonald’s followed suit by announcing recently that they would increase their minimum wage. This increase in wages is driven by three factors: the drop in unemployment and the increased demand for skilled labor, which generates competition among employers; the negative image that protests create for businesses; and finally, though the increases are far from the $15 demanded by workers, they come as a concession by companies in order to maintain the core of precarious employment. Walmart and McDonald’s are two of the largest employers in the country — much of their labor force relies on part-time contracts and work in rotating shifts; unions are harshly opposed . The minimum wage movement emerged after decades of working class defeat, after a significant portion of the workforce shifted to the service industry (losing many rights in the process; the Walmart model became the standard form of employment), and trade unions were reduced to a minimum. During the worst of the economic crisis, the unions signed agreements that were unfavorable to workers, further eroding their base and discrediting the union bureaucracy. In some cases, health insurance and pensions were given up , representing a loss of the last “classical” demands of the white industrial working class. In 2011, in the state of Wisconsin, the legislature voted to eliminate collective bargaining rights of teachers . Despite the defeat, Wisconsin marked a turning point. For the union bureaucracy, it reflected the highest point of anti-union attack; ironically, it marked a starting point for the social movements. 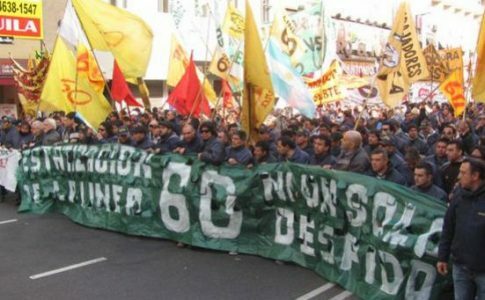 For the first time in a long time, a movement of workers and students went into action, with the solidarity of the population, unions and organizations, who found themselves together in the streets and saw the early potential of their mobilization. The rate of unionization has reached its lowest levels : less than 7% in the private sector and only 35% in the public sector. The discredited AFL-CIO’s response to the attacks was delayed and weak under the new leadership of Trumpka, despite his formal support of immigration reform, anti-racist movements and even the protests for a minimum wage. While the AFL-CIO had come to be percieved as an organization led by ´´dinosaurs´´, unions like SEIU/Change to Win chose to modify their policy of ignoring “external” movements and began promoting the Fight for 15 organization. 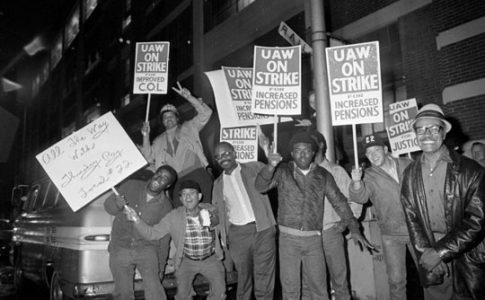 Fight For 15 is not a union and does not negotiate directly in the workplace, but it frames the movement that exists in major U.S. cities today. Moreover, in 2011 OUR Walmart (Organization United for Respect) was created. For the first time, the fiercely anti-union company had to accept the legality of an association of employees within their stores. OUR is not a union, does not represent collective interests, and has no legal capacity. It is part of a long legal fight to overcome Walmart’s prohibition of unions, and although it is limited, it has strengthened groups that are fighting for the right to organize in the workplace. The minimum wage movement is particular for another reason: it is not an exclusively economic or trade union movement. There are different social and political currents within the movement. There are objective intersections as in the case of black youth: they constitute a large portion of workers earning the lowest salary (along with Latinos), and are at the same time the protagonists of protests against racism (renewed with the recent rebellion in the city of Baltimore). This means that there are natural ties between the base of Fight for 15, Black Lives Matter (an anti-racist movement), OWS and other organizations. The increased pressure, on both the right and the left, has stimulated the discussion around trade unions and for the first time in several decades sectors of the left are participating in the debate. In 2013, the victory of an openly socialist candidate in Seattle opened up a new space for the left in the United States. The election of Kshama Sawant to City Council took place along with other moderate shifts to the left. In addition, intellectual sectors of the left have emerged, such as the magazine Jacobin, as well as political organizations which continue their normal political routines. The left is aligned with the new social movements; however, its policies are not centered on strengthening the progressive sectors that drive those movements, but rather on maintaining them as the basis of its electoral strategy. This was made clear in the “Future of Left and Independent Politics Network Electoral Action” conference held on May 2nd and 3rd in Chicago, which called for bringing 100 independent candidates to power. Leftist organizations such as Socialist Action, the International Socialist Organization, Socialist Alternative (K. Sawant’s party), and publications such as Jacobin, Red Wedge and Emerge participated in the conference. The call to action conforms to a widespread view held in the American left today; oriented towards a general logic of building broad parties and occupying positions of power. 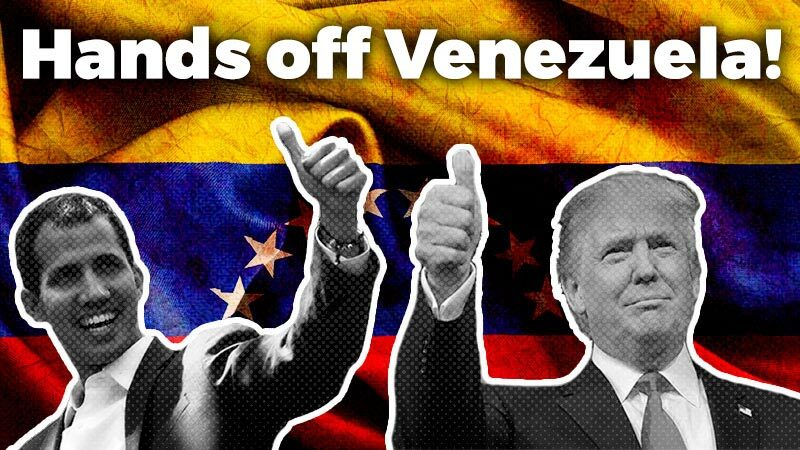 Similar to the way the first decades of this century many were largely uncritical of the post-neoliberal governments in Latin America, today Syriza and Podemos are seen as the kind of “viable alternative” that can be constructed. Although these reformist phenomena in Greece and Spain are incomparable to what is happening across the Atlantic, their theories about the administration of the capitalist state influence the policy and strategy of the American left. For the first time in many years the left has the ability to merge not only with progressive social movements but with sections of the working class (its most precarious sectors); applying a broad party strategy misses this historic opportunity. The current left in the United States agrees with much of the premise that it is possible to lend political content to any space, dissociated from the real power on which it is based. Although their speeches refer to an end of capitalism, their policy is closer to the idea of ”social transformations achieved within the current state.”  This explains why the role of the labor movement as an active agent is absent or subordinate in the primary political ambition, which is to fight in the electoral arena. When visiting Argentina, Iñigo Errejón (political partner of Pablo Iglesias in Podemos) referred to the failure of the mobilizations to “disturb the balance of state power”  and recommended that electoral politics be at the center of its strategy, as with Podemos. Today, we can see the limits of Podemos’ own electoral strategy and wonder how valid this assumption is, which has placed the party in a contradictory place, unable to progress for having “split” the movement that gave it life. So Pablo Iglesias again appeals to “a political project of plebeian invasion.” . The American left supports this conclusion as well, which prevents it from seeing its own potential. In a recent interview , Kshama Sawant discussed the need for the left to build a party that should be “broad-based, organized around democratic principles and have as its fundamental goal the mission of working with the labor movement, nonunionized workers and young activists of color” (in fact, one of the panels at the conference that they are driving is called “A new party of 99% ?”) . In the same interview, she said that “our campaign needs to be a launching pad for something bigger. It needs to be about building a mass movement, a viable radical alternative. This is what is happening in Greece and Spain.” This is why she shares other groups’ affinity for wide platforms. Her attention to the labor movement speaks to the base that brought her electoral victory. This policy that puts the occupation of space at its core makes one lose sight of the central struggles that reveal the left as a real alternative. This happens because interventions in the electoral arena, and winning parliamentary seats, is conceived as split from efforts to strengthen the political independence of the labor movement, along with its organization and struggle in the streets. For example, within Fight for 15, the SEIU leadership seeks to unionize workers by convincing them to sign a contract, rather than by building a grassroots workers’ movement. The bureaucracy wants to present itself as responsible for addressing companies like McDonald’s, with which, according to several union organizers, it is in secret negotiations . In areas where the left has influence, it is possible to argue with the union bureaucracy on the direction the movement should take, and from there it should propose a real alternative, not only as honest politicians and in support of workers’ rights. The left has not had this kind of opportunity for a long time. An OWS journalist reflected on the Fight for 15 movement: “The campaign has raised hopes on the left of a revival of class consciousness and a working-class movement, but will it come to fruition under SEIU? If history and current events are any guide, the missing ingredient is the organized left.”  The real question is whether the left will rise to the occasion. The emergence of social movements such as Occupy, Black Lives Matter, and especially the minimum wage movement, pose many challenges for the American left. Not only must it overcome its “self-fulfilling prophecy” of weakness, but it must address and deepen the strategic debate that is necessary to challenge the bureaucracy’s dominance of labor and the illusion of the Democratic “left” in the electoral arena. No shortcut will benefit the left; on the contrary, shortcuts will weaken it strategically in the debate over the direction of the social actor, which will be the real muscle of any independent alternative. See C. Murillo, J. A. Gallardo, “Fast Food Nation”, IdZ 4, October 2013. See “Nuevo triunfo en la lucha por el salario: ¿por qué cedieron Mc Donald’s y Walmart?”, La Izquierda Diario, 11/04/2015. The keys for the Walmart model included: banning unionizing, erasing collective bargaining rights, and destroying the “perception” that workers belong to a class. See “Fast Food Nation”. 2007 UAW-General Motors agreement on VEBA. Also, see The Big Three bailout agreement in 2009 (UAW agreed on cut salaries and benefits for its membership to ease the agreement with the federal government and prevent bankruptcy. Teacher rank-and-file posed resistance to the bill, supported by students, unions and the local community. They were ready to harden the fight; they were willing to support a call for a general strike at Madison. The movement leadership channeled that strength to Governor Walker recall election (which Walker won). One of the last episodes of this “war on unions” was on February 2014, with the defeat in the union vote at Volkswagen plant in Chattanooga (Tennessee). The highest point of its policies was the merger of UNITE-HERE to form a powerful union of hotels and restaurants. The merger failed after conflicts between bureaucrats in different sectors and millionaire campaigns to “steal” members. 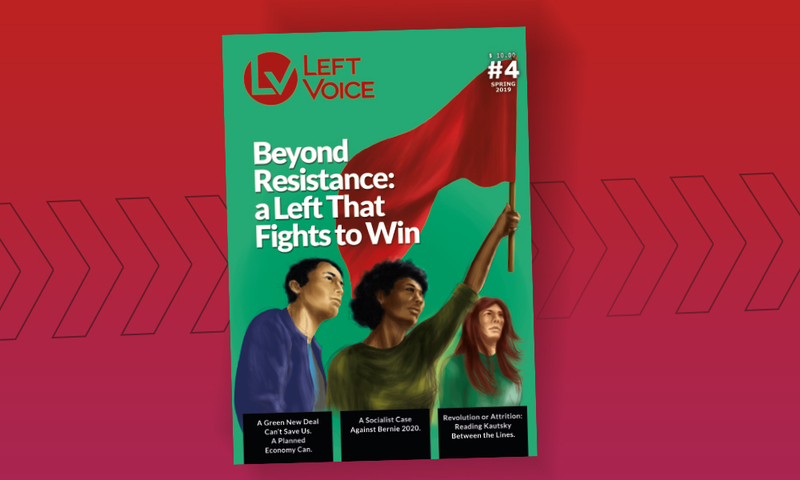 The Future of Left/Independent Electoral Action in the United States, available in www.leftelect.org. 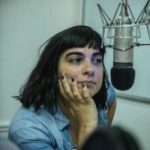 About Chantal Mouffe’s interview with Pablo Iglesias in J. Martínez, D. Lotito, “Syriza, Podemos y la ilusión socialdemócrata”, IdZ 17, march 2015. 10] Iñigo Errejón at the [Forum for the Emancipation and Equality (Buenos Aires) , available in www.celag.org. See D. Lotito, “Podemos y la impotencia estratégica”, La Izquierda Diario, 24/04/2015. “The Most Dangerous Woman in America”, Truthdig, 15/03/2015. A. Gupta, “Wage Gains Won’t Last, Unless Fight for 15 Builds Worker Power”, Counterpunch, 16/04/2015. 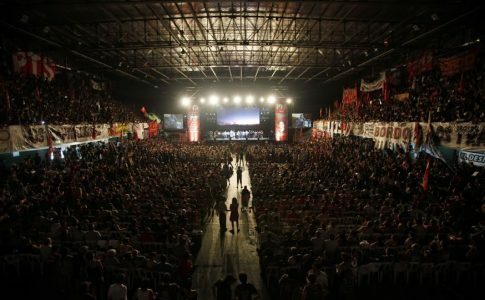 What can we learn from the electoral alliance of Argentina’s revolutionary left? Where does the success of the FIT come from and what will be debated in the upcoming primary elections?